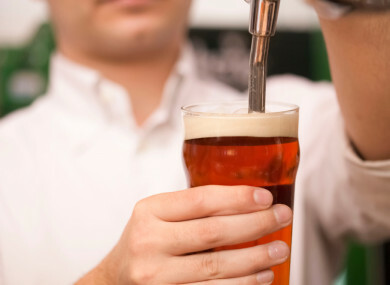 A BAR MANAGER who was sacked after his 11-year-old son was seen carrying pint glasses and taking money from customers has been awarded €3,270 compensation. The man, who had worked with the pub from July 1989 until October 2016 had taken a case to the Workplace Relations Commission over his dismissal. The case heard that on the night of 16 October 2016, the man’s son was seen on the premises by customers, who informed the bar’s owners that they had considered calling the gardaí. The bar owner, the WRC file says, saw this as a “serious breach of trust that would put his licence at risk”. He said that if the bar manager had told him of any childminding issues, he would have been at the bar himself. The bar owner contended that the manager’s work had been an issue which included a door being left open after the manager left with money sitting in a safe. The manager had been suspended for eight weeks, though the bar owner accepted this had happened seven years previously. The bar owner said that the pub was not making money and he was not in a position to make the complainant redundant. He added the manager’s actions “presented a serious safety risk both to himself and to others in the pub” and the dismissal was proportionate. The manager’s case was that on the evening in question, he had received a call from his son who had returned from a birthday party, but that nobody was home, so he came around to the pub. He said the boy was brought home two hours later. “He advised that he had 27-years’ service with the business and much of it as a bar manager. The complainant maintained he therefore deserved better treatment and a lesser sanction, and where he should have experienced a proper disciplinary procedure with natural justice. He also maintained he was unfairly dismissed and the real reason of his dismissal was to avoid paying him redundancy which would have reflected his 27 years of service. In the WRC adjudication, it found that the dismissal due to the child being on the premises and serving alcohol was fair. However, it found that the man was not afforded proper procedures. The WRC ruled that the bar owner should pay €3,270 in compensation. Email “Bar manager sacked after his 11-year-old son was seen carrying pint glasses to customers awarded €3,270”. Feedback on “Bar manager sacked after his 11-year-old son was seen carrying pint glasses to customers awarded €3,270”.